Cancer does not only touch our lives. Cancer touches the lives of those closest to us. How to we handle the relationship challenges and losses? Continuing in a series on Life After Cancer. “Will you die like Grandma?” my then-sixteen-year-old daughter asked when I told her I had breast cancer. Cancer does not only touch our lives. Cancer touches the lives of those closest to us. I remember calling siblings and friends with the news that I had breast cancer. Within hours the disease spread to affect everyone who knew and loved me. Some relationship challenges I anticipated with the diagnosis, and other relational changes caught me off-guard. Many cancer survivors who I interviewed mentioned the relational changes/losses as the most challenging of their cancer journey. While many survivors reported that cancer brought them closer to those they loved, most also had a story to share about relationships that were torn apart. Cancer comes and stirs up the pot in regard to roles and expectations. 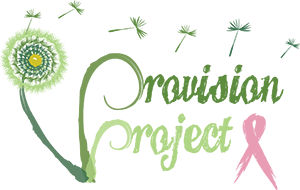 During cancer treatment family members and friends arise to take over some of the patient’s responsibilities. But when treatment ends, everyone expects you (and you expect of yourself) to step back into your old roles. The only problem is we don’t seem to fit back into our old skins. After I finished my initial rounds of treatment, I felt I could return to the multi-tasker I had been in the past, able to stand in the intersection of our family’s busy lives and direct the traffic of an active household, but I found myself without the energy or concentration to manage the speed of everything coming at me. I also made the decision to step down from a position I had held for 16 years. I found myself struggling to define my priorities, my goals and who I was as a person. Other survivors found that friends and family members wanted to keep them in the box marked “Fragile. Handle with Care,” long past the time they needed that label. Often during treatment, expectations from those who have stepped up to the plate to care for us have been stuffed or put aside as they have “been there for us.” Now that we are finished with treatment those feelings can arise, not only from us, but from those who were closest to us, at a time when the exhaustion from the battle of cancer has left everyone without the reserves to take on un-planned-for conflict. As a child I enjoyed going to the fun house at the county fair and looking at the warped mirrors that made me look tall or thin, fat or short. Those mirrors made me laugh. Not so the mortality mirror. The mortality mirror is avoided by most people, as they take short glimpses but hurriedly walk way. Having cancer forces us to gaze into the mirror, and not only us, but those closest to us. For many of our friends and family, they step forward, even if they don’t always know what to do, and surround us with the love and support we need. People we never expected to be beside us are there. We make new friends during treatment and after treatment. The mirror doesn’t keep them away. Our relationships are strengthened. Yet, some can’t handle the mirror and are unable to cope with illness and the possibility of death. Almost all the survivors had stories of a few friends or family members that weren’t there for them. My friend’s eyes widened, “I hadn’t thought of that. I think it’s true.” With this insight, these friends were able to repair what was broken. But that is not always the case. Others cannot handle the mirror. So what do you do with damaged relationships? Can I Get A Pass On the Human Race? Having cancer weakened my resiliency for negative people. Posts on Facebook advised me to avoid these people at all costs. Can I be honest? I never found this advice to be helpful. Having cancer doesn’t give you a pass on being part of the human race. Healthy boundaries may need to be drawn, but completely avoiding negative people isn’t possible. People are awkward. Thoughts of illness and death make people even more awkward. Extend grace. Assume the best in people. Be the friend you want them to be. People fail us and we fail them. This was true before cancer and it is true during and after cancer. Forgiveness is still real. Offer it. Give it. Ask for it. If you need the strength to fight one more battle, choose this one, with God’s help. Forgiveness is not dependent on the other person. Sometimes a relationship cannot be restored. In that case, we can only do our part to make sure our own hearts are clear and move on. 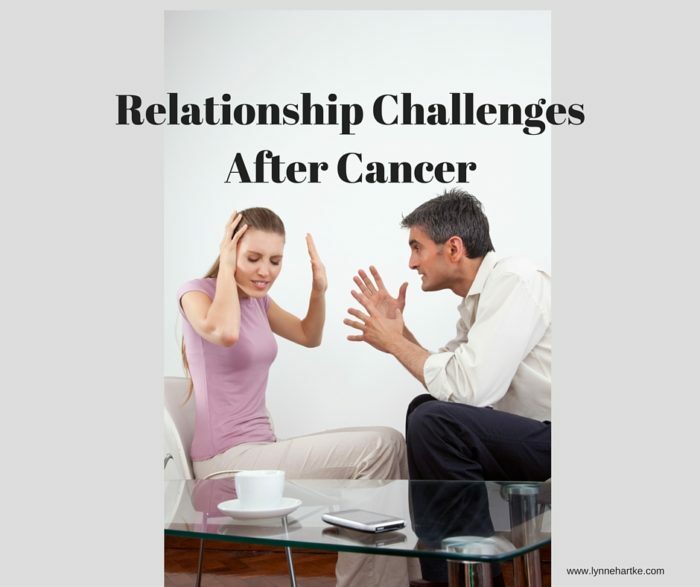 What has been the most challenging for you in regard to relationships since your cancer diagnosis? Lynne Hartke began her writing journey after hearing the words, “You. Have. Cancer.” Those words propelled her to quit putting off a some-day dream and to take college writing classes with students younger than her own children. Lynne and her husband, Kevin, have four grown children and three grandchildren. She blogs at www.lynnehartke.com about courage, beauty and belonging while living in the Sonoran Desert in Arizona. The story of her cancer journey will be released by Revell in May 2017. Lynne, your beautiful heart of mercy is like a gentle, cleansing river. Not only do I hear you encouraging cancer survivors to forgive their awkward and inadequate friends and family, but I hear God reminding us to forgive ourselves for not being there for someone in the ways we wish we had. I think we can grieve our past (and future) failures and still know that we are good-hearted enough to move forward, to try again with God’s grace.